Winnipeg, MB (October 17, 2018): Get ready for the best anatomy lesson ever – at the Manitoba Museum. 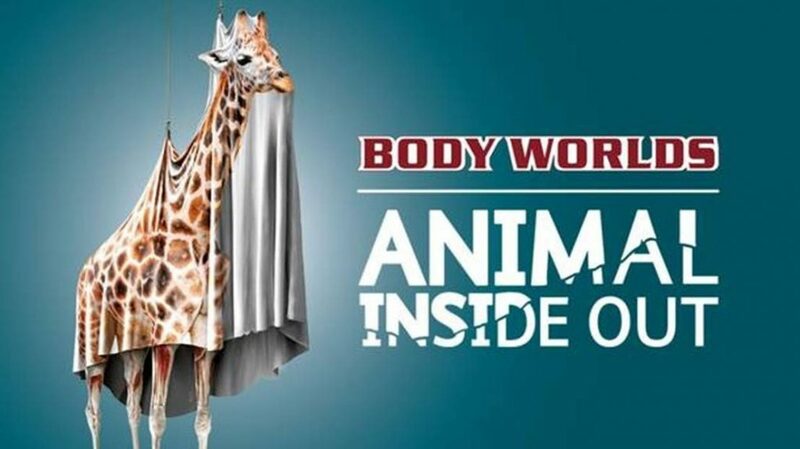 Gunther von Hagens’ BODY WORLDS: ANIMAL INSIDE OUT presents the fascinating and rare opportunity to see what’s under the skin of more than 100 animal specimens. ANIMAL INSIDE OUT will take visitors on an anatomical safari. Adventurers will experience the intricate biology of a variety of the world’s most spectacular creatures including an octopus, horse, reindeer, bull, camel, ostrich, giraffe, as well as a human. ANIMAL INSIDE OUT opens April 17 and runs to September 2, 2019. With the skin removed from real specimens, animals are preserved through a process called plastination. ANIMAL INSIDE OUT reveals how intricate the blood vessels of animals are, what the muscular system and various organs of different animals look like, and how they compare to other animals, including that of a human specimen. Invented by anatomist Dr. Gunther von Hagens in the 1970s, plastination is a ground-breaking method for halting decomposition to preserve anatomical specimens for scientific and medical education. Essentially, water and soluble fat are removed from and replaced with a reactive polymer (silicone rubber, for example). This highly educational exhibition is designed for all ages and reveals many curiosities about animals. The exhibition is divided into six areas by biological systems – locomotive, nervous, respiratory, cardiovascular, digestive, and urinary/reproductive – to give visitors an in-depth look at animals from a rarely seen perspective. Highlights of the plastinates featured include the world’s tallest mammal, the giraffe; the rarely seen giant squid; a magnificent bull, with its heart five times the size of a human’s; and a reindeer, with hooves that adapt to the changing seasons. Please note that no animal was harmed or killed for this exhibition. The specimens used were made with the cooperation of various university veterinary programs, zoos, and animal groups.